Golden Home Inspection: Pre-purchase home inspection – Why you shouldn’t avoid it. Pre-purchase home inspection – Why you shouldn’t avoid it. A pre-purchase home inspection forms an important part of the home buying process. But you would be surprised to know that very few people consider it and fewer get it done. It could be because home inspections are time consuming or because they bump up the budget, marginally. Though forgoing an inspection can cut down costs and fast-tracks the process, one cannot deny the fact that it is essential to ensure a safe home ownership. Let us examine a few important areas covered under a home inspection, and why they are necessary. The life of a building depends upon its structural rigidity. Over a period of time, unattended weak pillars, roofing or walls could give in to stress and collapse, thereby causing injury or a fatal emergency. What could seem to you as a negligible crack on a wall, can be a potential hazard that could bring the roof down. You can do away with all of that by taking the service of Home Inspector Brampton. They can spot defects, find the level of damage and at times, can assess the costs involved in bringing the house back to shape. An audit of the electrical and HVAC systems is important to create a safe environment for you and your family. Testing power sockets, wiring safety, circuit breakers (which protect you from electrical accidents), HVAC configuration and potential leak hazard assessments are few of the areas covered under this audit. Besides ensuring safety, this will also help you in managing your energy consumption effectively. And at times, Home Inspector Brampton can provide you with a basic do's and don’ts on electrical maintenance as well. 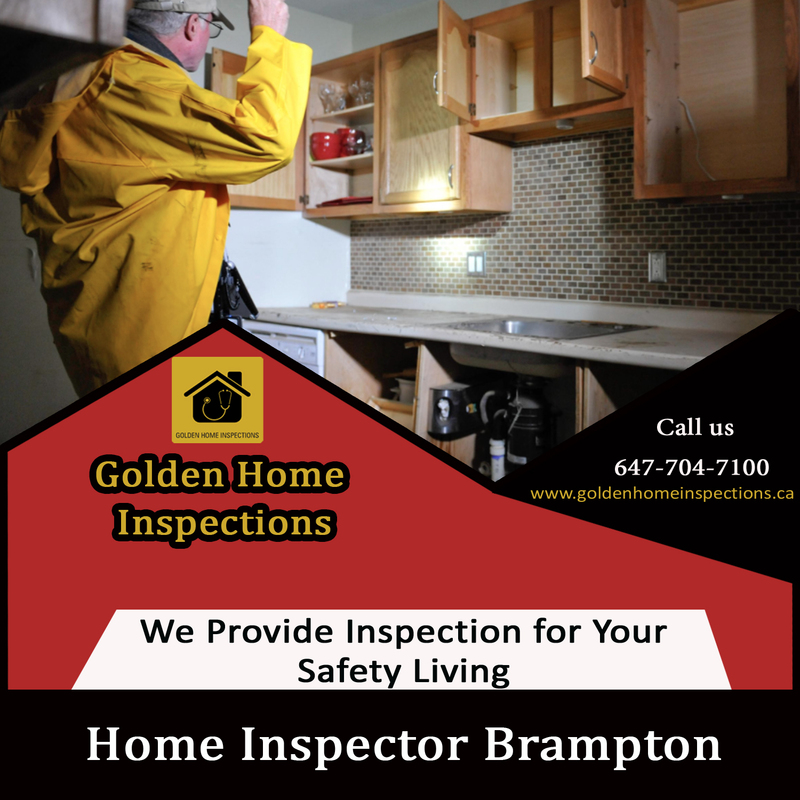 From overhead tanks to hand-wash faucets, the Home Inspector Brampton will check for visible cracks, rusts or corrosion. Unattended leakage of water over a period of time could corrode wooden structures and destroy furniture. Besides being an eyesore, damaged wooden flooring or furniture can also cause accidents. With fire safety, inspection helps in taking note of emergency equipment in place. Depending on the size of the house, smoke alarms or fire extinguishers have to be installed. Check with the inspector and be sure that the fire safety equipment conforms to the fire standards of your civic authority. Besides assessing the aforementioned areas for safety, an inspection will also reveal certain places or parts of the home that are potentially hazardous. These can include loose window panes, slippery stairs, weakened gas lines etc. Overlooking such dangerous components can cost you a lot financially and emotionally in the event of a mishap. It can be quite tempting to save a little money by opting out of a pre-purchase building inspection. But by spending a few hundred dollars on inspection you can secure the biggest investment of your life in a better way. You might have become emotionally attached to a particular home and would have started dreaming of your future in it. But it is always safer to conduct an inspection and keep yourself clear of any potential emergencies. The feeling of living in your own home is great. But the feeling of owning a home that is safe and sound is even greater.